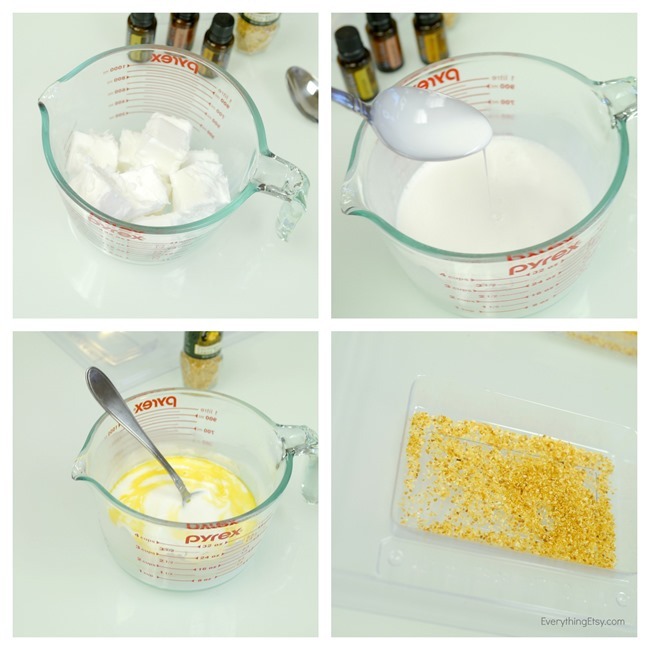 Looking for a simple soap tutorial that will make you look like the super crafty diva you really are? Well, here you go! 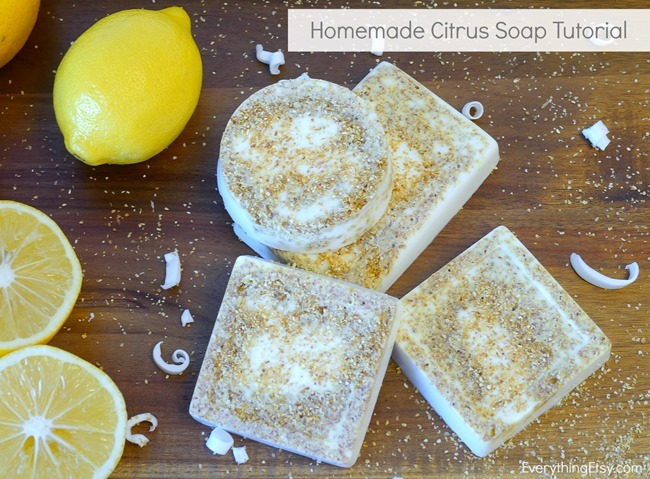 This Homemade Citrus Soap can be made in minutes and it turns out amazing! I wish you could smell it! 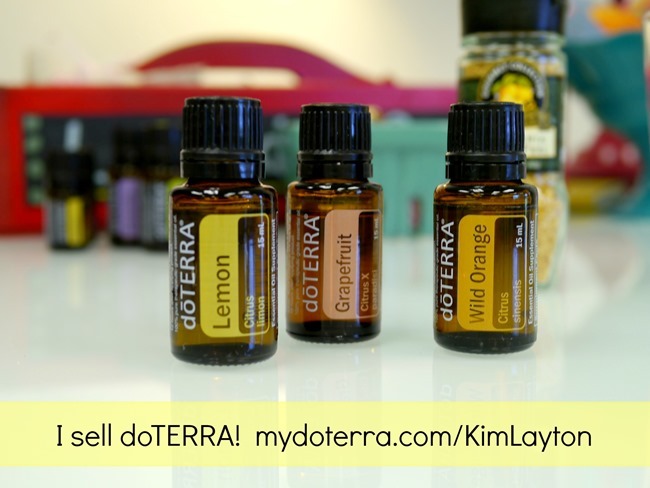 The whole office is smelling like some kind of fabulous spa on the edge of the ocean…on a tropical island, of course. You can easily whip up a whole bunch of these for holiday gifts, or keep a stash of them when you need a little gift at the last minute. 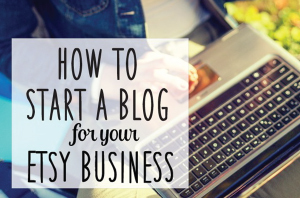 Even the person that has everything can use homemade soap! 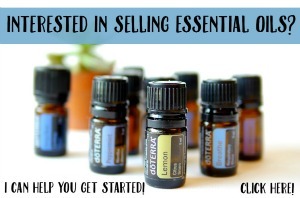 There are just a few supplies and I’ll share links to them to make your shopping easy. 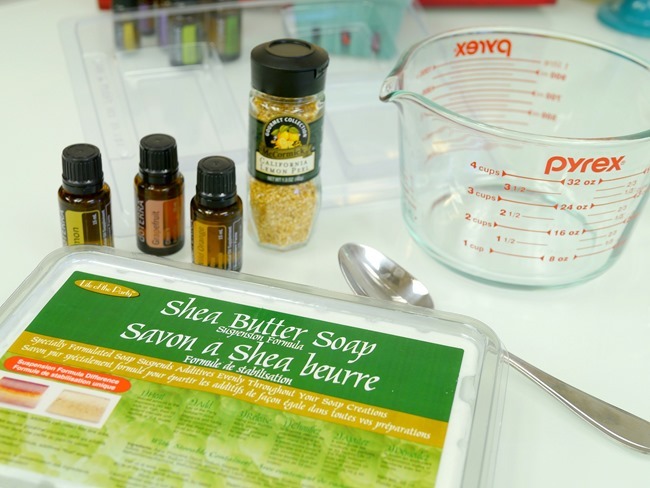 You can use basic soap molds or any small plastic containers around the house that are slightly flexible. Stir it up gently. 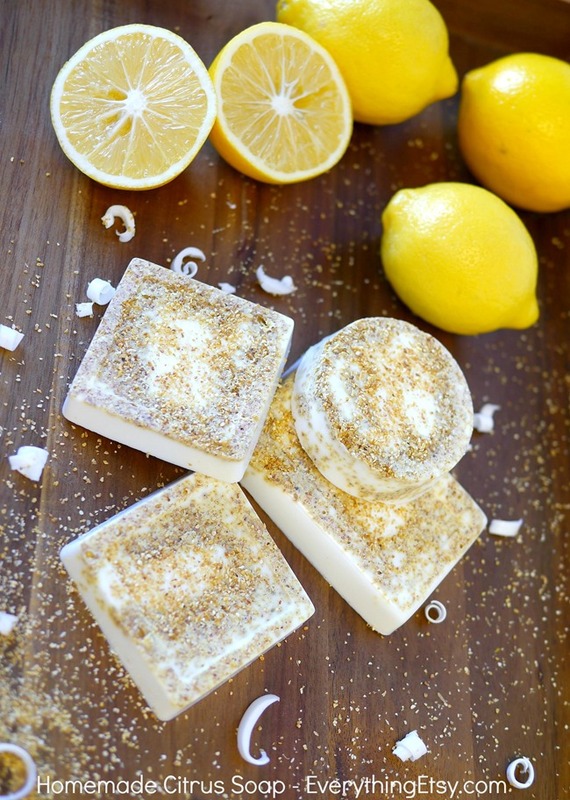 Sprinkle Lemon Peel all over the bottom of your soap mold. 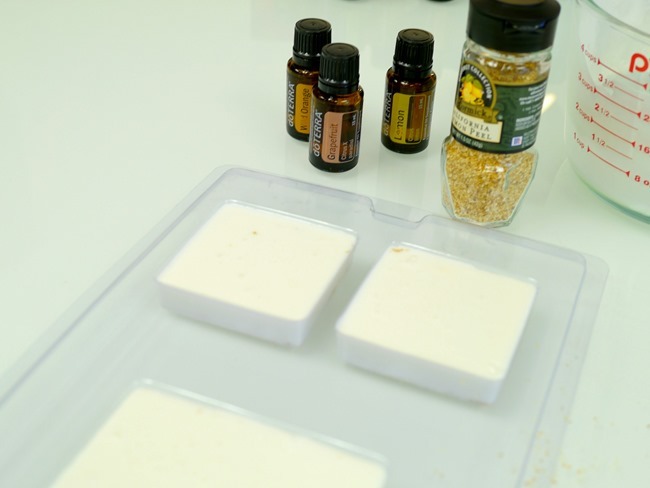 Slowly pour your soap mixture into the molds. Let it sit for a couple hours undisturbed. Pop them out of the molds and let them sit overnight. This should make them hard enough to wrap up pretty. 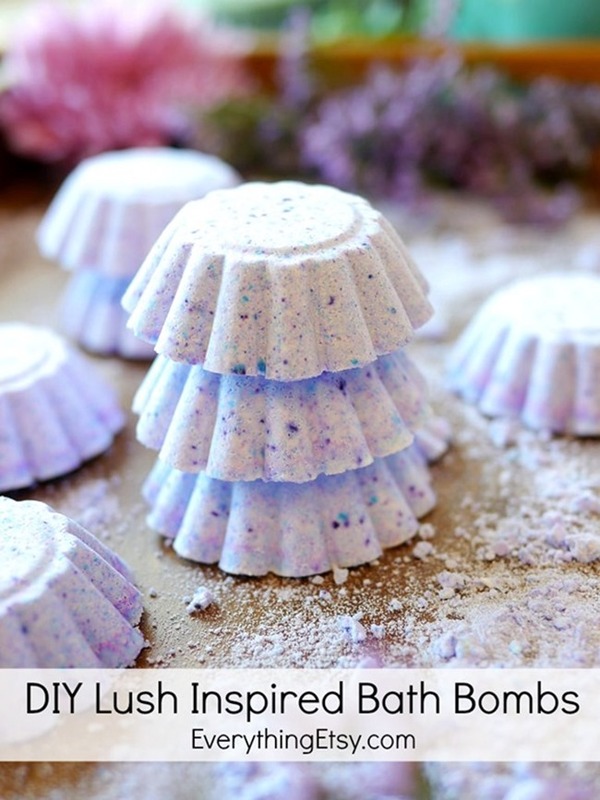 These will make you feel like you’re having a spa day at home. Enjoy! Handmade gifts rock! What’s your favorite kind of gift to make? I’m always looking for new ideas! oh, what a fresh smell in my house! This is yours!!!! Thank you so much for this fantastic tutorial! Great! Wonderful! 🙂 I love it! 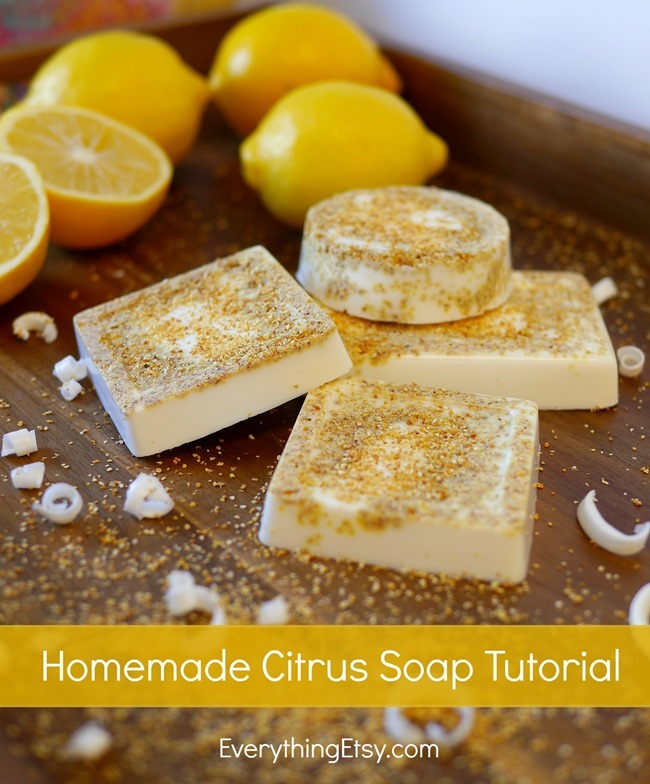 I love citrus soaps because they smell so clean! This is a great idea for a gift (or for myself!). Thanks for the tutorial. Pinning it! I found you through the SITS Sharefest. What do you use to wrap them in? Next Post Craft Room Inspiration–Wow!